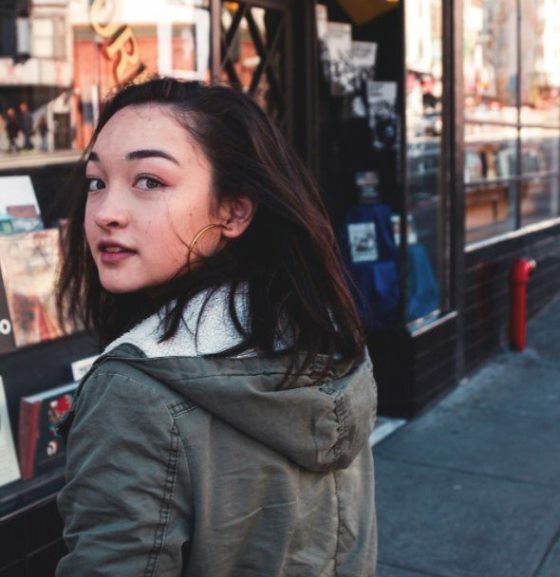 mxmtoon (pronounced em-ex-em-toon) is the moniker of 18-year-old Maia, an Oakland-based singer, songwriter, and ukulele player. Maia is like any other teenager, playing sad songs from her bedroom and making goofy videos. But these videos have reached a global audience - a staggering 75 million streams at this point. She's not being celebrated here for being famous, though. She's here today because she's good. I guess what I find most inspiring by young creators is their relative lack of understanding of limits and boundaries. mxmtoon, 18, literally has no idea the she shouldn't be able to accomplish so much at a young age. Her debut EP, Plum Blossom, comes out later this year. Until then she needs to be content with her near 1 million listener following on Spotify and a trove of young global listeners who treat her like a cultural touchstone. My favorite so far is 'stuck,' the self-questioning song that any adult can understand. The ukulele has never seemed more powerful.. the sky is no longer the limit.. anything is possible. Artists of all ages please take note. HER BIO: Growing up in Oakland, music was a constant for this rising star as she took lessons in violin, cello, trumpet, and guitar before being introduced to the ukulele in middle school. Since then, Maia has written about a host of subjects, from being a burden to her friends (the sweet 'please don't'), the trials of love ('cliché''s head-over-heels moment, or the bubble bursting on 'don't play your card'), and her connection to the Chinese side of her family (the wistful 'hong kong').